Kyle Nel, executive director of Lowe’s Innovation Labs, prefers to see the world through another person’s perspective rather than his own. He wants to see how others perceive situations and what they think about particular matters to expand on what he already knows. As such, he set out to discover what his employees thought of the future of Lowe’s through storytelling by hiring a handful of science fiction writers to create comic books showing these perspectives. 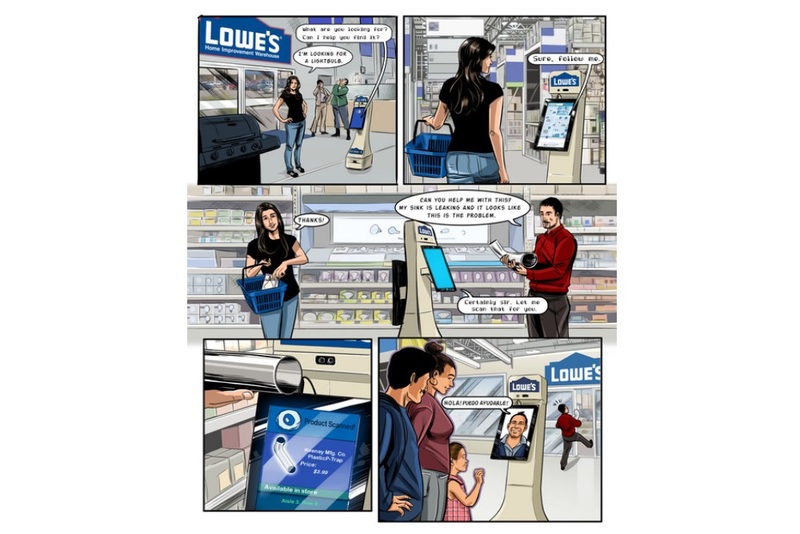 The graphic novels then got handed out to the the Lowe’s executive team to show the results of the market research and the emerging technologies Lowe’s could potentially implement in their stores. Nel settled on stories as he felt it was a key way to drive creativity among his team members. Humans crave stories in various shapes and forms, from reading books to watching them on a television screen to seeing them preformed live in a crowded theater. What makes stories unique involves their ability to adapt and change over time. Nel wanted the future of Lowe’s to adapt as quickly as a story could, one with a simple enough framework to follow but willing to bend and shape as outside elements altered. This story driven creativity first started in 2014, which spawned the Holoroom. In the Holoroom customers had the chance to preview their remodeled kitchen once they finished doing it themselves with help from Lowe’s. Another item that came out of the Innovation Lab was an autonomous robot designed to wander the store and assist customers. The robot would speak multiple languages and guide customers to the aisles they needed to get to. 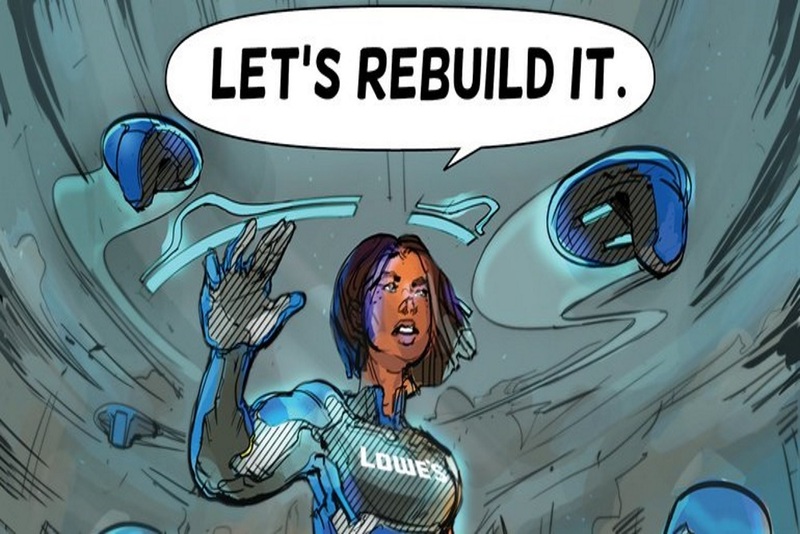 These creative stories drive the future of Lowe’s, who constantly look at it and think about what’s going to happen in the next few years rather than limiting themselves to focusing on the next couple months. While not all the stories show the accuracy of what gets produced, it does provide a potential the Innovation Labs team can work towards. The Innovation Labs have a series of examples of what they created on their website, along with the stories that came before the finished products. Several new projects Nel and his team have announced focus on customers using augmented reality with their phones to preview how products would look in their home before purchasing them.